Our homes are usually our most valuable assets. This is why choosing the right estate agent is vital when deciding to sell. 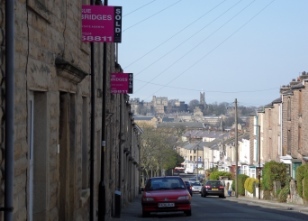 Here at Sue Bridges in Lancaster, we pride ourselves on our experienced, professional and friendly staff. We have a wealth of estate agency knowledge and work hard to achieve the best possible price for your property in the current market. We understand that it takes a lot more to sell your house these days than just putting an advert in the newspaper; that is why our marketing efforts go the extra mile to ensure your house gets the maximum amount of exposure among the right buyers. We also pride ourselves on our old-fashioned honesty and courtesy. We guarantee that every possible lead is followed up and feedback given, that we will turn up on time for our appointments, and that we’ll never forget to return your call. At Sue Bridges Estate Agents we aim to provide you, as our Vendor, with a personal, tailor-made solution which will focus on you and your needs and what is the best way to sell your property. We will provide you with a Free Market Appraisal of your property during which you can discuss all marketing aspects in more detail with Sue. Here are just some of the excellent reasons for choosing Sue Bridges Estate Agents. Call us now or complete the form at the bottom of this page for further information. Competitive Fees. We may not be the cheapest agent – We constantly monitor our fees to ensure that our charges are highly competitive. Our fees include all marketing costs such as colour brochures and all local press advertising. No Sale – No Charge – This means that in the unlikely event of our not being successful in finding a buyer for your property we will not pay us a penny! Accompanied Viewings – We are happy to show prospective buyers over your property on your behalf. Viewing Feed- Back – We endeavour to provide feed-back to our vendors with 24 hours of a prospective purchaser viewing their property so that our clients are always aware of the reaction and we can solve any problems quickly. Press Advertising – We are committed to regular advertising in the Lancaster Guardian simply because it still works! Your property will feature regularly with good sized colour adverts. Internet Marketing – In addition to www.suebridges.co.uk all of our properties feature on all the best property portals such as www.onthemarket.co.uk. Extensive Knowledge – Our team have many years experience in the property business and whatever issues come along it is highly likely that we have dealt with it before. Local Expertise – All our staff live and work in the area. We know our patch well! Ombudsman Scheme – We are members of the Ombudsman for Estate Agents ensuring the highest standard of professionalism.